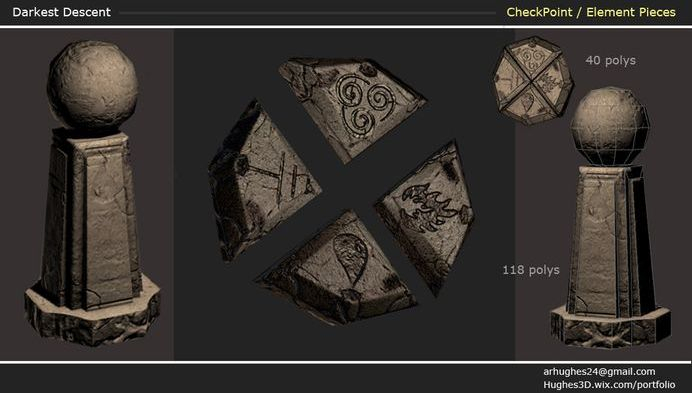 A class assignment to replicate one of Bowen Designs sculptures. Created using 3DS Max and Mudbox and completed in 17 hours. 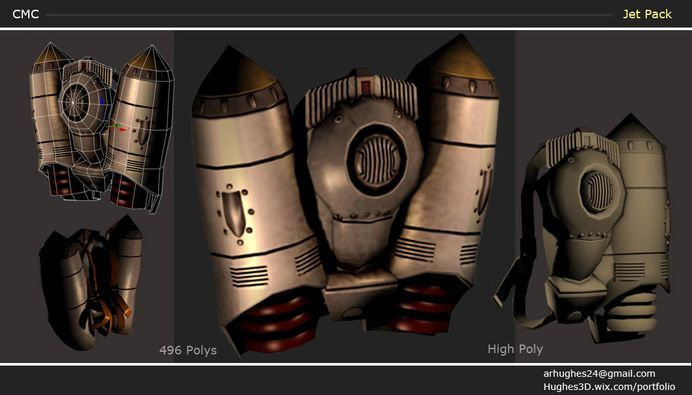 The Jet Pack created for the use of the main character in the upcoming action side-scroller, Chicken Monkey Chainsaw (CMC). 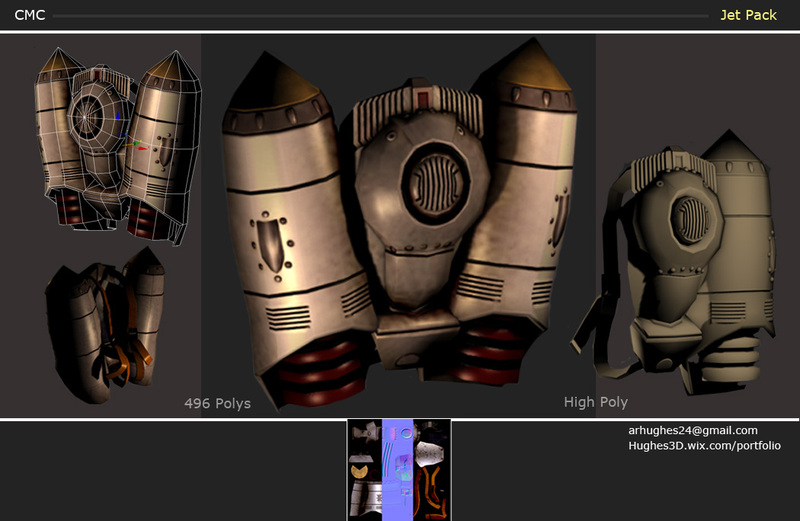 Currently in Alpha, can view the main character on Francisco's portfolio. Created in 3DS Max and completed in five hours. 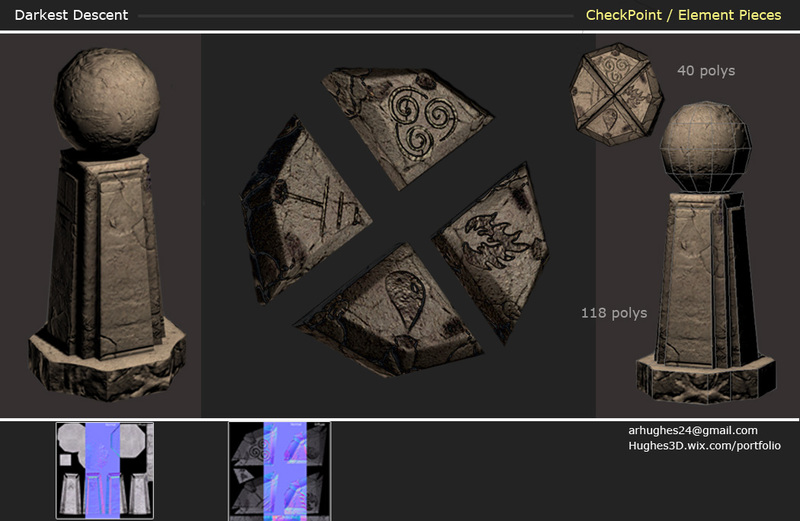 A stone Checkpoint and stone pieces created for a class action game, Darkest Descent. 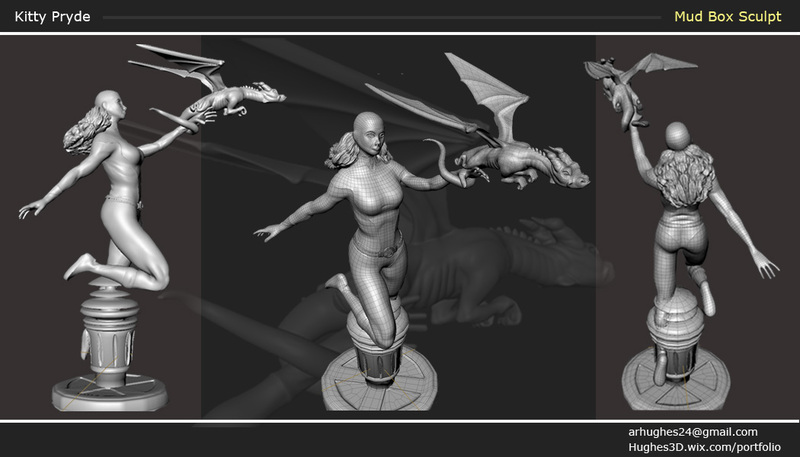 Both assets created in 3DS Max and Mudbox and completed in two hours.